During Infocomm 2017, Bose Professional announced its EdgeMax in-ceiling premium loudspeakers, using in-house developed PhaseGuide technology. Basically, the design combines the superior coverage patterns typical of larger surface-mount loudspeakers with the visually appealing aesthetics of in-ceiling loudspeakers. As Bose states, EdgeMax represents an entirely new product category. 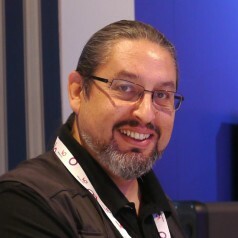 audioXpress heard it, and we must call it one of the most impressive products at InfoComm 2017. EdgeMax loudspeakers feature proprietary Bose PhaseGuide technology, which provides room-filling coverage even from a less than ideal corner position, while improving overall sound quality compared to the performance of conventional ceiling loudspeakers. 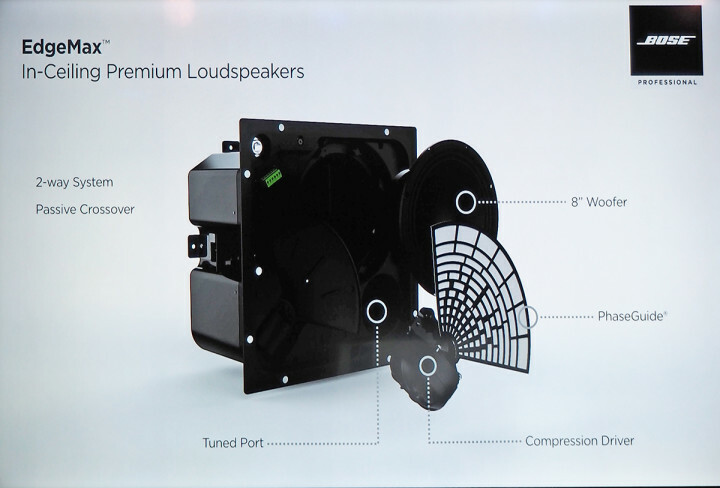 In fact, these loudspeakers were designed for mounting near wall boundaries, and EdgeMax loudspeakers are able to project high-frequency sound throughout rooms up to 65 feet (20 m) wide using only perimeter mounting locations, and can effectively cover an area that would require up to four conventional conical-coverage models. 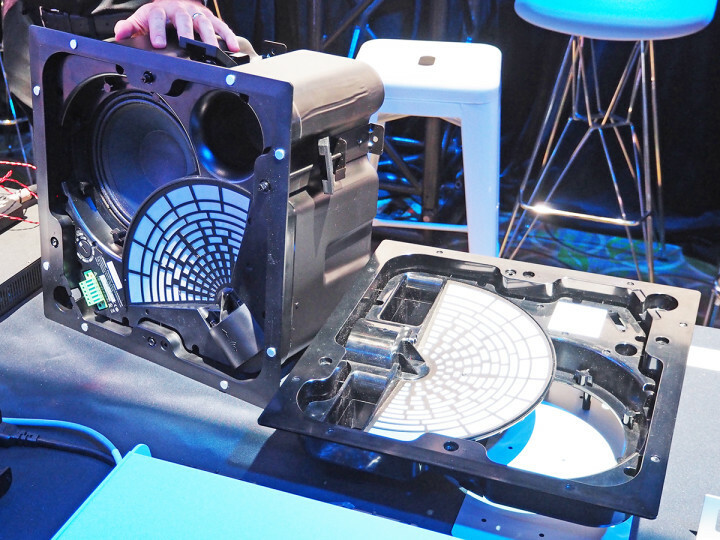 Bose’s clever PhaseGuide electroacoustic design enables EdgeMax loudspeakers to eliminate the need for conventional ceiling speakers mounted in the center of rooms, or surface-mount loudspeakers mounted on walls. And because of their unique design and consistent coverage pattern, EdgeMax loudspeakers enable installers to move efficiently through the installation, creating a great-looking and great-sounding end result. Additionally, EdgeMax loudspeakers produce excellent intelligibility for speech and full-frequency response for music, making it ideal for retail, commercial, industrial, institutional and residential applications. 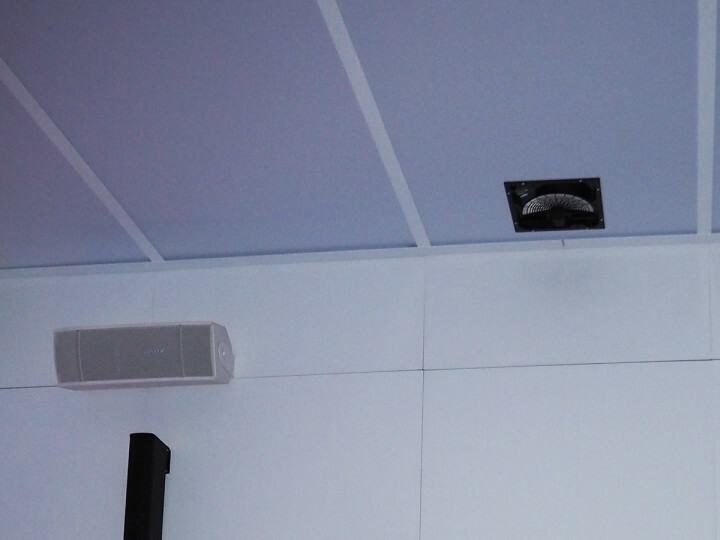 Bose EdgeMax in-ceiling premium loudspeakers shown with magnetic grille off (models EM90 and EM180). 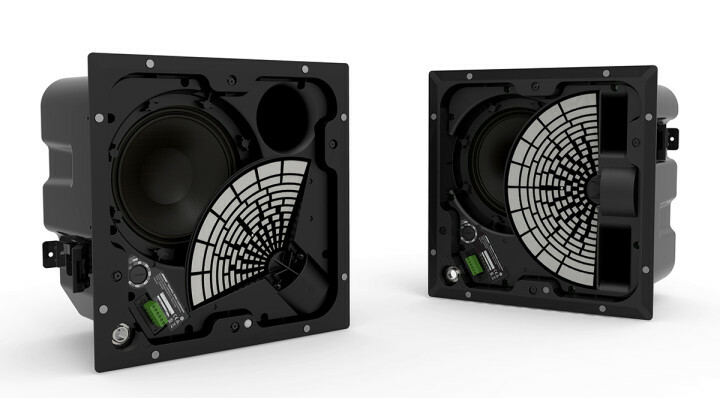 EdgeMax loudspeakers feature a 1.3-inch diaphragm compression driver, providing superior frequency response and coverage consistency versus typical dome tweeters, combined with an eight-inch woofer with wall-boundary loading, which provides extended bass impact and receive signals from a two-way passive crossover with 8-ohm or 70V/100V transformer taps. The speakers also feature a new mounting-clamp system for fast install, with a magnetically attached grill for quick access to wiring and tap settings, and UL1480 listing for air-handling (plenum) space installation, saving integrators time in the field. EdgeMax in-ceiling premium loudspeakers are scheduled for fourth-quarter 2017 availability.